After just 18 months, an ambitious Build-A-Plane project in rural Scotland has seen its first student “builder” take flight, helping young people in the area realize the opportunities provided in STEM fields. The Build-A Plane project represents a collaboration between Scotland’s Kinross High School and Aero Space Kinross, a subsidiary of the Aero Space Scientific Educational Trust (ASSET), a co-operative community benefit society. Starting in November 2017, a team of Aero Space Kinross volunteers began immersing students in STEM learning through the construction of an AeroPro Eurofox kitplane. 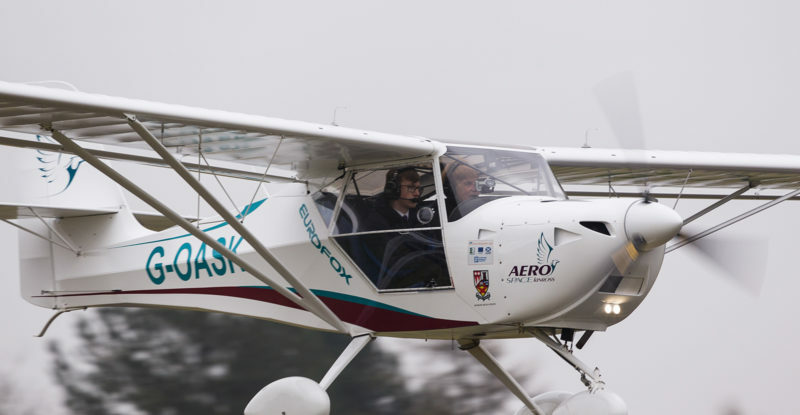 On 1 March of this year, George Ross, an instructor with more than 4,000 flying hours, lifted off at Fife Airport, Glenrothes, with 14-year old Aaron McKay in the passenger seat of the Eurofox. McKay was selected as the first student to fly for his unstinting dedication to the project. For him and his fellow students, it was a celebration of their involvement in the remarkable Aero Space Kinross Build-A-Plane project. “It was a truly brilliant experience. 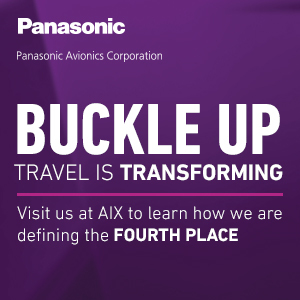 Hectic as we got ready to take-off, but once we were up and I had a chance to take the controls – amazing,” he says. 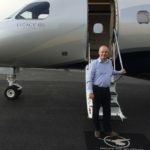 Proving yet again that there’s nothing like a plane to stimulate aviation awareness, Brown says: “There has been a lot of community interest in the project, demonstrated in particular by a parent who works at W.L. Gore & Associates, a company expanding in aviation and which sponsored a trailer for the plane. 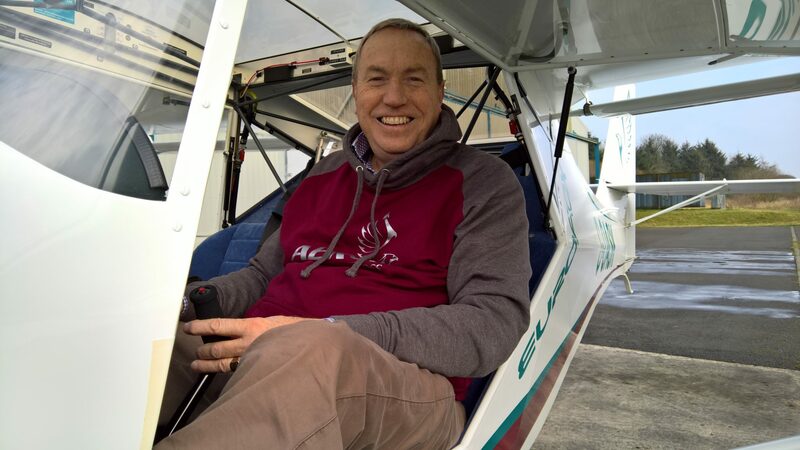 ASSET chairman Alisdair Stewart says a group of seven shareholders has responsibility for keeping the Eurofox airworthy under its Light Aircraft Association Permit to Fly. The maintenance routine will also provide learning opportunities for students. An ex-Royal Air Force aircraft engineer of 28-years’ experience is assisting the project and Stewart says he will explain and demonstrate the servicing tasks and documentation requirements. 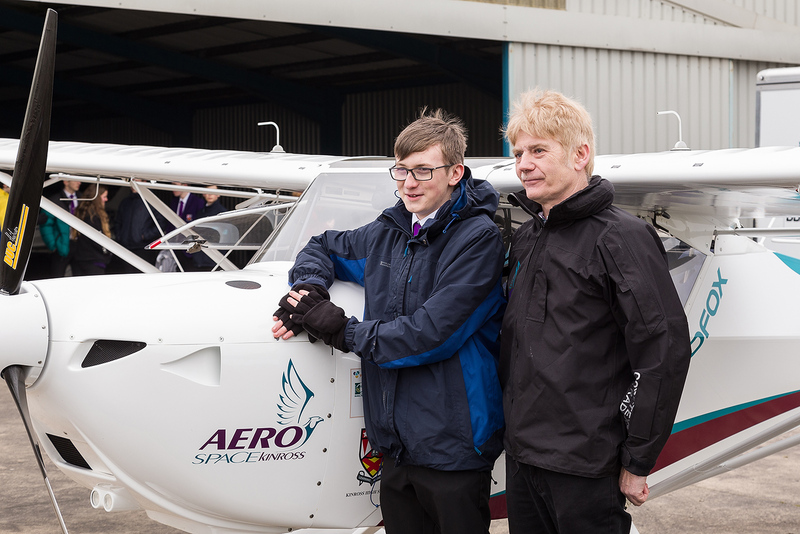 Going forward, Aero Space Kinross aims to introduce as many Kinross High School students as possible to the sheer joy of flight – and give them a fresh perspective on the beautiful Scottish landscape,” Stewart says. It’s an intention Brown applauds. The cooperative also has grand ambitions to construct a world-class aerospace centre in the beautiful heart of rural Scotland, with education and inspiration among its primary aims.